The sun is shining brighter, the kids are finishing up at school, and summer is right around the corner. It’s a season meant for adventure, and there’s plenty to be had just minutes from Shearwater. 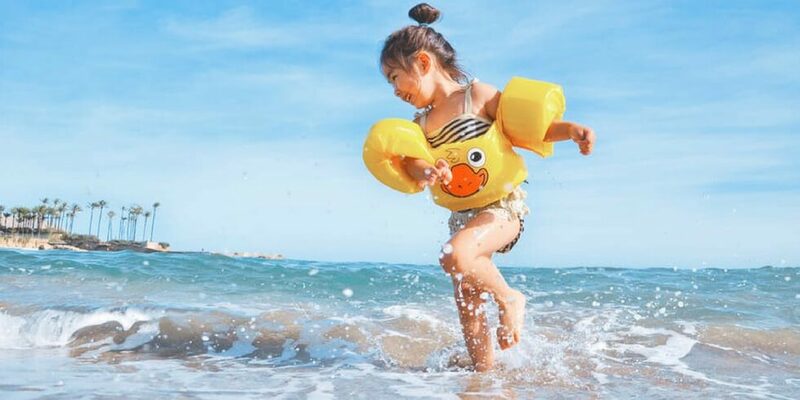 To make things a little easier, here are our top five favorite summer activities in the area that are sure to keep the kids busy and happy. For Shearwater residents, there’s tons of fun to be had without ever leaving the community! Just walk down to the Kayak Club to relax while the kids have a blast at the resort-style pool, Lazy Bird River and three-story waterslide. Or if your family prefers steps to strokes, hike along Shearwater’s 15 miles of trails through the pristine nature preserve. And don’t forget, our Lifestyle Director will have a full calendar of events planned, from pool parties to neighborhood BBQs to game nights! If you have a little swashbuckling enthusiast in your family, then a visit to the St. Augustine Pirate & Treasure Museum is an absolute must this summer. One step inside and you’re transported back to the golden age of piracy. Go on a treasure hunt, learn about famous pirates from the area, fire a real cannon, see Jack Sparrow’s sword, touch a real centuries-old treasure chest and so much more! Did you know that the St. Augustine Alligator Farm is the only place in the world that has all 24 species of crocodiles in one place? Spend the day getting to know these prehistoric animals, along with lemurs, Komodo dragons, exotic birds and even albino alligators. Add some thrill to the day and zipline across over seven acres of exhibits or watch the alligators charge from the water during feeding time. And make sure to check out their newest addition, the Oasis on the Nile exhibit! For a day full of thrills, look no further than Adventure Landing! Spend the afternoon staying cool at Shipwreck Island Water Park, which features a huge half million-gallon wave pool, lazy river, multiple water slides and even a special water play area for the little ones. And when you need a break from the pool, you can always go feed alligators, play mini golf or laser tag, have a blast at the arcade, speed through the quarter mile go-kart track, and so much more! The summer just wouldn’t feel complete without at least one trip to the zoo, and Jacksonville Zoo and Gardens won’t disappoint. With plenty of animals, keeper talks, a splash pad, carousel, train and even behind-the-scenes tours and summer camps, there’s plenty to keep you coming back all summer long! Plus, until July 7th, you can visit the new Dinosauria exhibit, where you can explore and interact with more than 21 different life-size dinosaur animatronics. Interested in learning more about Shearwater and everything this community has to offer? Stop by the Kayak Club to see it all in person, or join our Interest List to receive news and updates.